In a previous post about the Exploring Elements 2001 Dodge Ram Overland vehicle, we detailed the concept and design of the new rig, including a checklist of requirements they hoped it would meet. Now with over a year of adventure under its belt, let’s see how it’s holding up. One of the major factors in the design of this vehicle was size. Owner Bryon Dorr wanted to ensure the Dodge would be small enough to fit into a shipping container and remain agile on the trail. They met this goal for the most part, although it’s a very tight fit in a container and it exceeds the gross vehicle weight of the Dodge Ram by 1,700 pounds when fully loaded. Bryon noted that while it certainly feels like you’re driving a heavy rig, it’s still amazingly agile and capable on the trails. The XP Camper has been everything Bryon and Sarah need for a two person living arrangement. 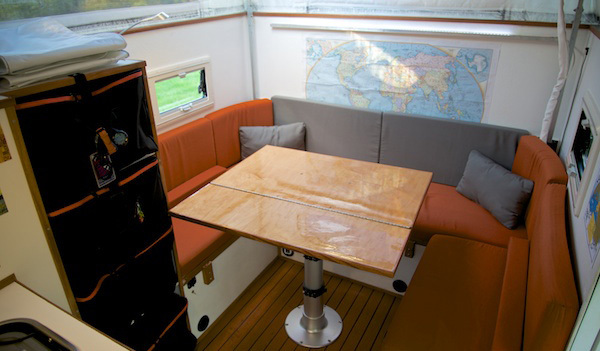 The three sided dinette area quickly converts into a full size bed and there’s enough room to leave the table up when only one person needs to sleep. The kitchen consists of two butane stoves and a propane grill, accompanied by a top load fridge that allows them to keep plenty of food on deck. The first off-road test for the EEXP Dodge came in the desert of Moab, Utah. 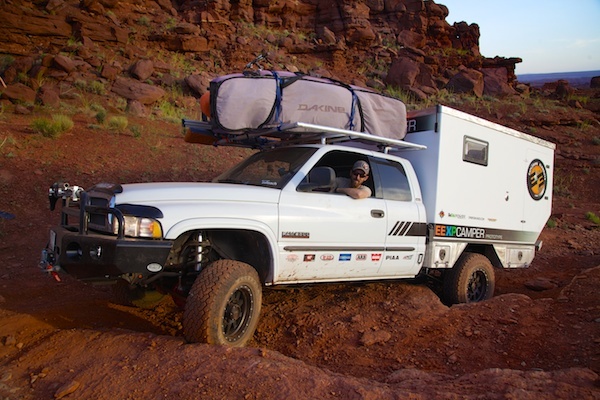 Over the course of two days, the team drove through The Lockhart Basin accompanied by a Toyota Tacoma XP Camper, Jeep Rubicon, and Nissan Xterra. The EEXP proved more than capable on its first journey, making it through a number of technical stair stepper formations. With only 33” tires, clearance for the rear differential housing became something of an issue on a few occasions though. 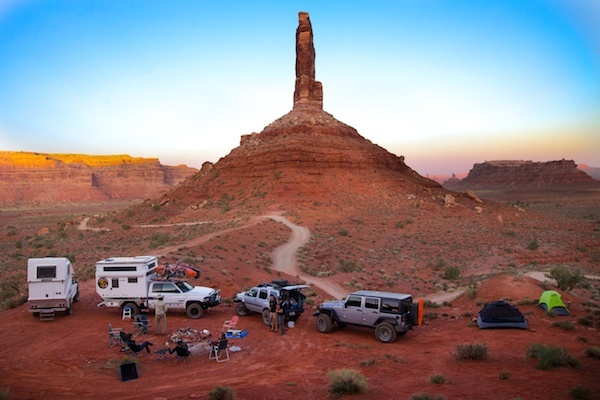 Since that first trek across Moab, the Dodge has made it to the 2014 and 2015 Overland Expo in Arizona, various parts of Alaska, the Northwest Territories in Canada, California’s Redwood Forest, and the 2014 SEMA show in Las Vegas just to name a few. 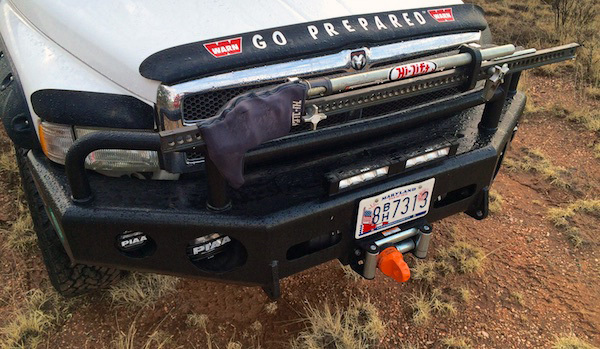 Bryon continues to make upgrades as he sees fit to continue travels, including the recent addition of two 10 inch RF10 LED light bars to the front bumper. We have no doubt these two will continue their journey around the U.S. and the world and we’re happy to be a part of the ride. You can find more behind the scenes content at ExploringElements.com and @ExplorElements on Instagram.